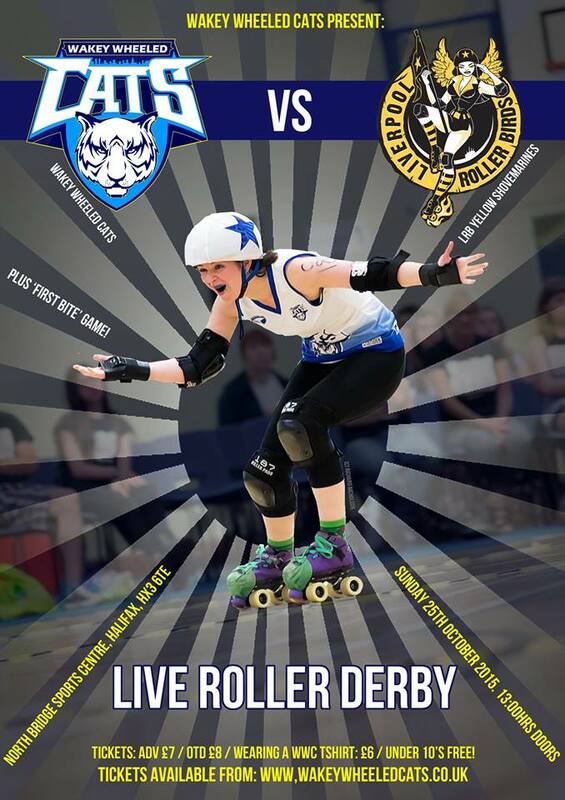 The Cats are hosting the last game of the season, playing against the formidable Liverpool RollerBirds’ ‘Yellow Shovemarines’ and both teams will be battling for a winning last game of the season. There will be some retail therapy available if all the excitement gets too much, including stalls selling food and drink, derby delights and a raffle in order to raise money for our new charity of the year; ‘My Burns Club’ – a local Wakefield charity who help Children and young adults in the Yorkshire area come to terms with life after having suffered a burns injury. All ages welcome – under 10s are free! Tickets are £7 advance or £8 on the door* available HERE . The main game will be preceded by a ‘First Bite’ debut game of the ‘Black Panthers’ vs ‘White Tigers’. This game will feature the rising stars of surrounding leagues, who are keen to show off their awesomeness and battle for a win. If you would like to take part in the Cherry Popper please follow the link HERE. Us Cats ask that you have played 0-3 games and sorry guys ladies only. We ask for a £10 deposit to secure your space which will be refunded to you after the event.